The A62 is a universal tri-band 802.11ac Wave 2 cloud-managed WiFi access point with simultaneous 2.4 GHz and dual 5 GHz radios. The A62 is our most powerful access point and supports the highest volume of simultaneous users. Install the A62 almost anywhere, indoors and out, with the included universal installation kit. The A Series is PoE only and does not include a power supply. The A62 can be powered with standard 802.3af/at PoE or passive 18-24V PoE. Bundle with a PoE injector or S Series switch. 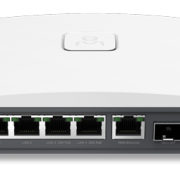 A Series access points are backwards compatible with OM2P and later OM Series devices (requires firmware upgrade) so you can run them on the same network. The A Series will not mesh with the old OM5P, but can run on the same network. Pre-order now. Ships mid-May. Note that orders will only ship once all items are available. The A62 is a universal tri-band 802.11ac Wave 2 cloud-managed WiFi access point with simultaneous 2.4 GHz and and dual 5 GHz radios. The A62 includes hardware watchdog, two Gigabit Ethernet ports and a USB port. It can be powered by standard 802.3af/at PoE or passive 18–24V PoE. Water and dust resistant, the A Series can be set on a desktop, mounted to an ethernet wall plate (EU, UK, US), installed on a wall or T-rail ceiling or fastened to an outdoor wall or pole. A universal installation kit is included for deployments almost anywhere. The A62 is cloud managed and includes a free license for CloudTrax, Open Mesh’s cloud-based network controller. 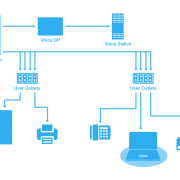 Deploy access points in minutes and build, manage and monitor your network from anywhere. 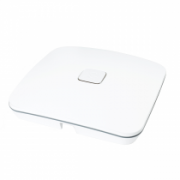 The A62 is a tri-band 802.11ac Wave 2 access point, providing strong performance in dense environments. The A Series was carefully designed to be installed almost anywhere. Mount the A Series indoors or out with the included universal installation kit. The A62 is PoE only and can be powered with standard 802.3af/at PoE or passive 18-24V PoE. Bundle with a PoE injector or S Series switch. Custom-branded splash pages automatically scale to fit any device, or use Facebook Wi-Fi to let users check-in to your page before using the web for free. Automated outage alerts by email if an access point goes down and doesn’t come back up within an hour. Authenticate users with WPA2 or WPA-Enterprise security; charge for access, use vouchers and connect to your hotel PMS system1. Set upload and download caps on each user and block individual abusive devices to ensure there is enough bandwidth available for everyone. Build, manage and monitor your networks from anywhere with free iOS and Android applications.